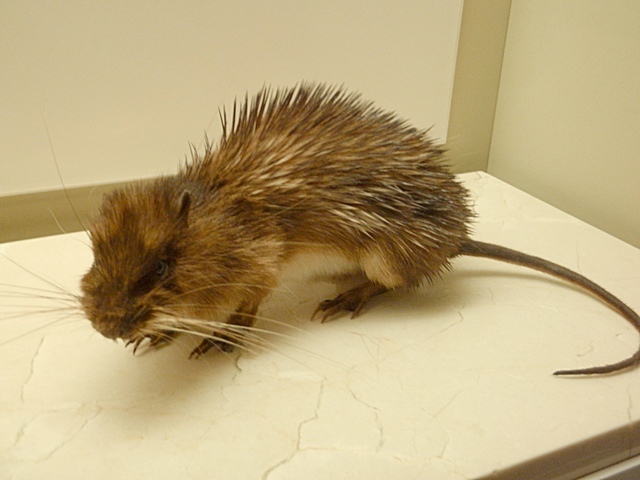 Bizarre Zoology: 1995 Puerto Rico Chupacabra Was a Porcupine? 1995 Puerto Rico Chupacabra Was a Porcupine? Comparison between an upright standing porcupine and a cartoon illustration of a Chupacabras which exhibits most of the features in Ms. Tolentino's sketch of the alleged Chupacabras which she saw. I was recently doing research into what animals could have been behind alleged Chupacabras sightings in Latin America. While it is well established that the sightings and carcasses of alleged hairless, dog-like Chupacabras were due to canines with mange, some early alleged sightings were different and thus enigmatic. In the article which I am sharing a link to here, cryptozoological researcher Dale Drinnon investigates what the possible identity of the Chupacabras (yes, Chupacabras is also a singular form) which Madelyne Tolentino allegedly saw in Puerto Rico in the year 1995. This sighting is regarded to have been the start of the Chupacabras craze, and is thought by Benjamin Radford to have been inspired by thoughts of the humanoid alien from the movie Species. However, Dale does not agree with Mr. Radford's view, and points out that the animal which Ms. Tolentino described and sketched does not have the human female proportions or features which the Species alien did. (Update): Cameron McCormick later suggested to me on Facebook that another possible candidate for the identity of the Tolentino animal is an armored rat (Hoplomys gymnurus). Although this species is not native to Puerto Rico, Cameron suggested that as people keep and release such strange animals it would be hard to rule out any exotic. I think this is certainly a possibility, and you can read more about this bizarre rat species here. Dale's work actually, but thanks. Oh hahha sorry that was my bad. Here is a question that seems to have been forgotten about as to what animal needs blood to survive? Or have we forgotten about what the Chupacabra or otherwise known as “the goat sucker” is famously known for? Many of the sightings go along with the number of dead livestock found with drained blood. Again what natural creature would require that amount of blood to live? Actually, nobody has ever seen a Chupacabra make a kill, and the animal carcasses actually have most of their blood. They're pretty universally considered to be identical to regular feral dog attacks. Excellent post, Jay, and excellent work by Dale! Like many crypto-cases, I think we're dealing with a complex interplay of real experiences, misperceptions, folklore and social factors when looking at the Chupacabras phenomenon as a whole. But, in the case of this particular sighting, the porcupine explanation seems to work very well. And it would also work for subsequent sightings, once the social factors I alluded to above took effect.